So let’s clear up some of those misconceptions right now. Misunderstanding #1: Online giving is the same thing as online fundraising. Although the terms “online giving” and “online fundraising” are frequently used interchangeably, there is an important distinction between what these two terms imply. ‘Online giving’ refers to how a donor chooses to make a gift (through some online source). In contrast, ‘online fundraising’ refers to the channel through which a nonprofit asks a donor for support. When we look at our data–specifically measurements such as online revenue totals–we can’t assume that all funds that come in through an online channel were a direct result of our online outreach efforts. For example, let’s say your donor gets your spring appeal in her mailbox. Since you’ve (thoughtfully) included your website address on your appeal, she hops on to her computer, finds your donation page, and she’s done! Direct mail drives online giving. Likewise, online fundraising appeals such as emails or online newsletters can drive offline giving. Misunderstanding #2: Online donors are different from our other donors. When we measure online giving and when we count our number of online donors, it is tempting to put those donors into their own bucket and consider them a distinct segment of your donorbase. At that point you might conclude that this specific bucket of people gives online, while this other group prefers to give offline. Just as you approach your donors through a variety of channels, each individual donor can likewise respond through different channels at different times. The problem rears its head when we are advised (as we frequently are) to approach donors through the specific channels in which they “prefer to give.” But this is based on a false presumption: that the donor gives only through one channel. The danger here is that you’ll reach out to a donor exclusively through the channel with which they’ve last responded. Not a good idea. It is much more effective to appeal to individual donors through a variety of channels and present them with several options – one of which may prove to be more convenient at the particular time it is received. Misunderstanding #3: Online fundraising means email fundraising. Without a doubt, email is a tremendously important vehicle for fundraising. No one’s going to argue with you there. But I’ve observed a lot of knee-jerk assumptions that online gifts are a result of email communications. That may in fact be true for a lot of online gifts, especially if you track click-throughs to your donations page. But don’t forget that there are tons of other motivators for people to give online beyond email. 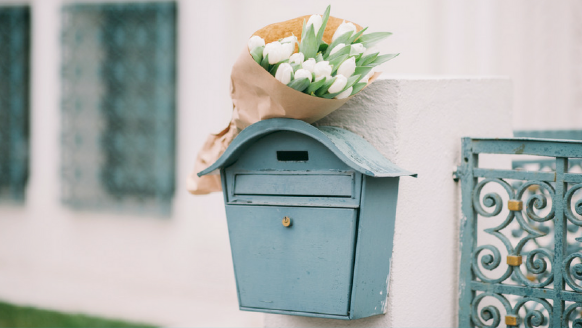 As we previously discussed, receiving a letter or newsletter can prompt an online gift. A great social media post, attending a special event or a face-to-face, peer-to-peer conversation about the great work your organization is can also move someone to your website to give. Don’t forget about the myriad of other motivators for giving in addition to email, and make sure you are measuring the difference. That being said, if you know your online fundraising metrics or if you are keeping up with these nonprofit benchmarks at all – good for you! You are one step ahead. But we need to be thoughtful about the conclusions we make–and thus the actions we take–based on our interpretations of these metrics.